It seems I have been writing everywhere lately except here! The wonderful folks over at Den of Geek have been keeping me very busy writing about awesome books. This year, I've read United States of Japan by Peter Tieryas, Kiersten White's Buffyverse novel Slayer, and Angus Macallan's Gates of Stone (for which they didn't let me use the phrase "Monsoon season is coming," even though it is branded as a "Game of Thrones" in Indonesia). I've also been following Ninth Step Station and got a sneak peek at Alternis from Serial Box. I've also been keeping busy working on a new project for Choice of Games. Titled Welcome to Blackstone Academy, this is my first YA project and also the launch of a setting I've been working on for more than ten years. It takes place in the titular Blackstone Academy, a magical boarding school on a causeway connected tidal island just off of the fictional Thimbleport, Connecticut. The small town setting borrows heavily from the part of Connecticut where I live, and the school mashes up pieces from my small college experience with some of the architecture of the gorgeous James Blackstone Memorial Library (which in turn was inspired by the Erechtheion in Athens, Greece). I've also been doing more game design, most recently writing for the (really exciting) Nighty Knights, as well as editing several of the Tiny d6 adventure books for Gallant Knight Games. If you haven't been following us over at Outland Entertainment, I'm over there as well, doing Editor in Chief-ly things. We've got some great projects coming up this year, and I'll try to do a better job posting about them! I went to see Moana this past weekend and, unsurprisingly, really enjoyed it. An action-adventure mythology tale with a prominent Trickster figure and a female lead is pretty much a perfect fit for a story I'm guaranteed to enjoy. This is not to say I'm not a Disney critical thinker; I have certainly applied the word "Disnification" to folk and fairy tales to imply the tale is reduced from an earlier form. That gets even more complicated beyond the Western fairy tale cannon (see footnote about indigenous commentary—worth checking out!). So I've always been a fan of expanding knowledge of a Disney animated feature's background stories, whether that's with the slew of international Cinderella tales, rereading Anderson's The Little Mermaid or The Snow Queen, or, in the case of Moana, doing some research into previously published Maui stories, especially the ones accessible to the same audience who will be attracted to the film. So here's the beginning of my research into Maui stories. I am likely to post this on my website for others to reference and so it's easier to update, and I'll put a link in this post when I do. My links are to B&N or the publisher's site if the book is currently available new, and Alibris if it's only available used. I've put in cover images where I could find them. If you know of additional Maui books available for younger readers, I'd be delighted to list them here, especially if they come recommended! I've not yet read any of these, so it's a resource list, not a recommendation (though I hope many of them are good!). 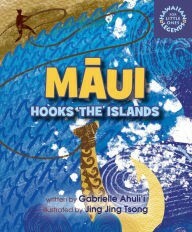 Ahulii, Gabrielle, Maui Hooks the Islands, illustrated by Jing Jing Tsong, Mutual Publishing, 2016. 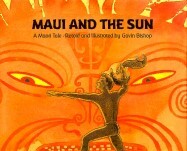 Bishop, Gavin, Maui and the Sun, North South Books, 2006. 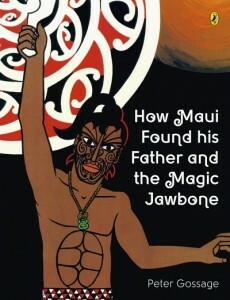 Gossage, Peter, How Maui Found His Father and the Magic Jawbone, Puffin NZ, 2011. 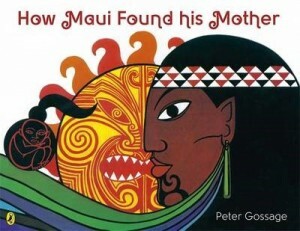 Gossage, Peter, How Maui Found His Mother, Puffin NZ, 2011. 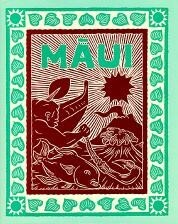 Kahalewai, Marilyn, Maui’s Mouse Supper, Bess Press, 1988. Kajiyama, Kats, Maui and His Magical Deeds, Barnaby Books, 1997. Rockwell, Anne F., Tuhurahura and the Whale, Parents Magazine, 1971. Sullivan, Robert and Chris Slane, Maui: Legends of the Outcast, Godwit, 2000. Thompson, Vivian L., Maui-Full-of-Tricks: A Legend of Old Hawaii, Golden Gate, 1970. Trussel-Cullen, Alan, Spotlight on Plays: Maui Tames the Sun, Collins, 2003. Tune, Suelyn Ching, How Maui Slowed the Sun, illustrated by Robin Yoko Burningham, University of Hawaii Press, 1988. Tune, Suelyn Ching, Maui and the Secret of Fire, University of Hawaii Press, 1991. Varez, Dietrich, Maui, the Mischief Maker, edited by Lilikala Kame’eleihiwa, Bishop Museum Press, 1991. 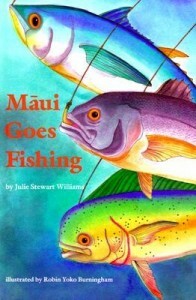 Williams, Julie Stewart, Maui Goes Fishing, illustrated by Robin Yoko Burningham, University of Hawaii Press, 1991. 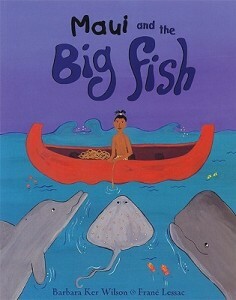 Wilson, Barbara Ker, Maui and the Big Fish, illustrated by Frane Lessac, Frances Lincoln, 2004. Also worth mentioning is Maui the Demigod by Steven Goldsberry, Poseidon, 1984. It's an adult novel that retells several Maui tales. I've also had recommended for this list the children's novel Call It Courage by Armstrong Sperry, which won a Newberry in 1941, and I list it here with the caveat that several Goodreads reviews mention that it is very much of its era and gives a very European-centric impression of Polynesia. Update 12/8/16: There's an excellent essay on Maui (and criticism of the film) in Huffington Post article "Goddess Hina: The Missing Heroine from Disney's Moana" by Tevita O. Ka'ili. This isn't my normal topic or style for this blog; it's a piece I wrote for another blog, geared toward college students, that the editors couldn't use. In light of a conversation I had with a friend today about her concerns on interacting with certain relatives at Thanksgiving, I thought I'd share the piece in hopes it would be useful. Definitely read the Nadra Kareem Nittle article I link to in full--she has several really useful articles, including another that might be useful for awkward Thanksgiving conversations: "Top 5 Reasons Not to Call Someone Racist." We’ve all been there. Someone in class or in the dining hall or at work says something that’s racist or makes a racist joke. It’s possible that they’re just using a word they didn’t know was offensive. It’s also possible that they’re cracking racist jokes because they have deep seeded prejudices that no one’s ever called them on. It’s often hard to know what to say in the face of blatant racism, and I know that as much as I try to be a good ally, I falter sometimes, unsure how to respond to a casual phrase that I know is offensive. Here are some tips on how to respond to racist jokes. I remember being corrected for using the word “token” in a conversation—I had thought it meant the single representative, like “Smurfette is the token female Smurf.” But the truth is, it implies that the person has no other value than the reason they’re a “token” member—kind of like Smurfette. I should have been able to figure that out on my own, but until it was pointed out to me, I just didn’t get it. If someone is making a racist joke—especially someone who is in a position of power over you, like a boss or a professor—one response it simply not to laugh. Nadra Kareem Nittle of RaceRelations.About.com, in “The Top 5 Ways to Respond to a Racist Joke,” recommended that you pair not laughing at racist jokes with laughing heartily at jokes that aren’t. That’s a kind of feedback to show that you’re not a stick in the mud, you’re just not willing to find racism funny. Walk away. If you hear the racist joke being set up, get out of there before it’s told. 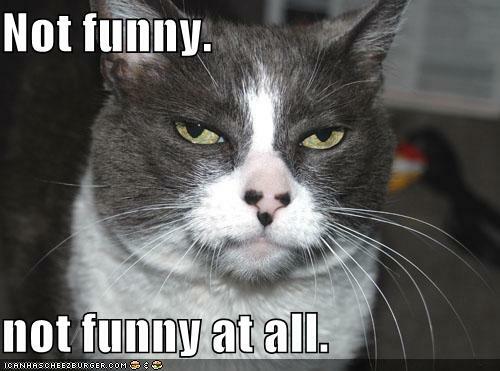 Ask the joke teller why the joke is funny. If you “don’t get it,” they may feel obligated to explain why it’s funny… and realize that it’s not all that funny on their own. Or you can be more direct and question the assumptions required for the joke to be funny, which are typically negative sterotypes. Tell a joke about people with their background in response, explaining that you don’t find it funny either, because you know the joke teller, and know those stereotypes aren’t true. It might shock them into empathy. Confront them directly and ask that such jokes not be told around you. It’s probably not useful to call someone racist, however. It puts them immediately on the defensive, and may make them unwilling to listen. And what if you’re the person who unwittingly made a racist joke? The first step is to stop and listen to the friend or peer who is calling you out. Stop. Listen. Don’t get immediately defensive, because if you really didn’t mean to say something racist, your best bet is to take that feedback and apply it, not protest. And remember, it’s not the job of others to correct you; it’s your job to try not to be offensive in the first place. Try to appreciate the risk they take in explaining. We all say stupid things. It’s hard to tell when a comment or a joke will go the wrong way—not just with racism but with all sorts of assumptions about gender, sexuality, abledness, education, and culture. Many jokes rely on the ability to lump a group into “other.” So tread lightly when you’re telling jokes, and listen when others explain how some words have more baggage than you realized. I know that I slip up, despite my best efforts, but the least I can do is keep listening and improving as best I can. It's been a long time since I've posted, but I have a lot of news to make up for it! 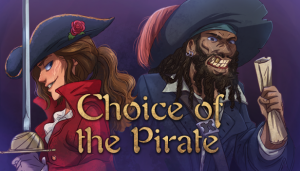 First: Today is the release of my newest interactive novel game for Choice of Games: Choice of the Pirate. Right now it's priced at $2.99, which is a 25% discount on the full price of the game. It's probably the most ambitious game I've written yet; set in the fictional Lucayan Sea, it borrows all the old pirate tropes from cursed treasure to ghost ships and adds a little extra magic to the mix. I'm very pleased with how it turned out, and I hope that many people enjoy the adventures! You can read all about the game here at the Choice of Games blog. Second: I'll be at the James Blackstone Memorial Library's local author expo tomorrow (5/21) afternoon. If you're in the area and would like to stop by and chat about my novels or games (or just shoot the breeze), please come on down! There are about thirty local authors attending, including reporters and children's book authors, so it should be an interesting mix. I'm not on any of the panels, but I may see about leaving my table for a bit to hear them. For more information, you can visit the event website. Thirdly: In honor of the game releasing and the author expo, I've finally uploaded the Redemption Trilogy to the major booksellers! You can nnow find them at Barnes & Noble, Amazon, and Kobo. They're also still available at DriveThruFiction, Smashwords, and iTunes as well. Lastly: I've accepted a position as Editor in Chief of Outland Entertainment, where I'll be editing a number of very cool comics! You can find out more about us at our latest newsletter or by checking out the comics lineup! There's big news here at Myth, the Universe, and Everything, the biggest of which is the release date for Regaining Home: January 26, 2016. You can see the page at Smashwords or check out the book trailer (designed by artist Lindsay Archer with music from Common Shiner). But more on that as it happens. In the meantime, I have a reading report for you! I tracked a bunch of different factors this year just to see how diverse a group of authors I really read. Including my review books (many of which are picture book length), but not including picture books I read with my kids, my total tally for last year was 179 books. Of those, 77 were review titles, 116 (the vast majority, including most of my review books) were for kids or YA. And while I picked up a title from an autobio author I hadn't read before (always one of my goals), the author I solicited didn't end up participating in the project, so I'm not entirely sure how to count that one. I didn't track author demographics for any of the review titles, and I only tracked demographics when I was pretty sure I could identify gender and ethnicity. My male/female split was pretty close: 53 male authored titles to 56 female authored titles. I did an Ilona Andrews reread during the year, so a number of books counted in both categories (as Ilona Andrews is actually a husband/wife team). Ethnicity was harder to determine, but for what I could figure out, I read 10 books by authors of color vs. 67 by white authors. 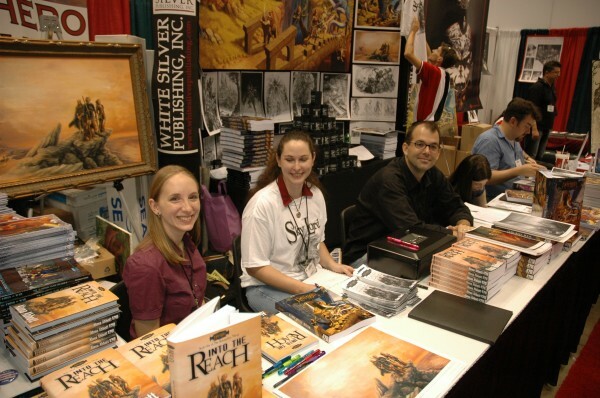 Some of those also counted twice when there was an author/artist team for the graphic novels I read. Now that I'm a little more aware of my reading habits, I'll be interested in seeing if I can intentionally better diversify the list this year--not just with authors, but also hitting those out-of-genre goals. I hope everyone had a great reading year in 2015! Margaret McNellis (@mcnelliswrites) has launched a Kickstarter for her nautical, haunted historical novel, Out of the Sea. I'm super excited for her, and the project sounds fantastic. Erik Scott de Bie (@erikscottdebie), who I met back at GenCon '06, is involved in another cool Kickstarter: an anthology of short fantasy titled Women in Practical Armor. What's not to like? Margaret Dunlap (@spyscribe) and Max Gladstone (@maxgladstone) are working together on the serial-fiction-in-the-style-of-a-television-series innovative project Bookburners. Max's first episode is available to read for free, so go get it! Bank Square Books with @Torbooks! Bank Square Books in Mystic, Connecticut had a fantastic signing yesterday! This was the latest stop on the Big Summer Road Trip Tour with four of Tor's authors: Max Gladstone, Elizabeth Bear, Brian Staveley, and James Cambias. It's always a delight to spend time with fellow Substrater Max Gladstone, and it was really fun to chat with Elizabeth Bear about some of the details of her "Eternal Sky" trilogy. Both Brian Staveley and James Cambias made me intrigued by their work. We all lamented how mass market paperbacks are becoming fewer and farther between (because otherwise I'd have picked up some backlist titles!). We got some excellent selections from the children's department at Bank Square Books (where we also found Waldo), and I'll be looking into sadly unsignable e-book copies of the Tor tour writers' backlist books. A lovely time was had by all -- thanks to the four authors, a shout out to Tracey Maknis/Trinitytwo from The Qwillery, and cheers to Bank Square Books for having such a great event! The full announcement with book jackets and links to purchase is available on the Mythopoeic Society website. This was my first year voting on the Hugo Awards, which was a very different experience. The MFAs are very much a juried award; the mailing list discusses the merits and flaws in the longlist and finalists throughout the process, and anyone participating in the jury is expected to read each as many on the longlist as they can and each of the finalists at least once. The Hugos, on the other hand, don't have any of that conversation, in part because there are so many voters that such an official mailing list might be ridiculous. There's also no real expectation that voters read anything other than what they want to, and they're free to vote for only their favorites if they like. Given my MFA training, I didn't feel comfortable voting in the novel category (where I'd not read, in full, any of the nominated works), but I did read all the short stories and novelettes and read selections of the writings by all the Campbell nominees. So I was eager to see the results this evening, which--as of this post--I've not been able to find listed anywhere. With the thought of saving others from going through the chat transcript of the live awards coverage (which does have some excellent commentary), I thought I'd list the winners here. I'm surprised (and occasionally disappointed) by some of these wins, but some of them please me tremendously. I'm especially pleased to see my taste reflected in the Best Short Story and Best Novelette categories; Kowal's novelette had me sobbing as I read it, and Chu's short story, the first of his that I've read, has turned me into a fan seeking out more of his work. I think it's great to see Kameron Hurley win not one but two Hugos; I loved her essay when it first came out, and I've been meaning to seek out her fiction as well. Now seems the time! I also think the gender balance here is really interesting; for an award that has a reputation for having so many men as nominees and winners, this list has an awful lot of women on it! I didn't even realize the break-down until I was typing it up. I don't have any commentary on that other than just the observation. Congratulations to all the Hugo, Campbell, and Mythopoeic Winners! I don't have much to add other than that you should read about her here, and definitely check out the linked videos to see how she dances. It's kind of amazing to watch her! Mythopoeic Fantasy Awards nominations are closed; Hugo nominations are open! 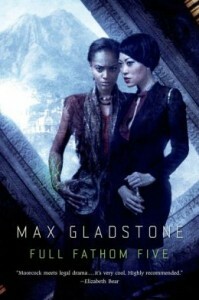 Fellow Substrater Max Gladstone is in his second (and last) year of eligibility for the Campbell award. His novel Two Serpents Rise is eligible for Best Novel. There is no question in my mind that he's getting nominations for both from me. Go Max! I'm not sure if Shana Mlawski is eligible for the Campbell, since her first novel is a YA, but if she is, she's also on my list. I'm a little surprised there's no YA/children's category for the Hugos, but I guess that's what the Nortons are for. Shame I'm not an SFWA member (one day!) and thus can't weigh in on those. Mark H. Williams's Sleepless Knights is both brilliant and, I believe, eligible. I'm pretty sure he could be nominated for the Campbell also; it's his debut novel, but he is also a playwright and television writer, and I don't know how that plays out with the Campbell award. I have to go back through my list and figure out which books I read last year were actually published in 2013 so I can determine what's eligible. I read so much stuff for review before it comes out (and catch up with so many books in the couple of years after they're published) that I always have to go back and look. Vampires are problematic. Even at their most civilized, they're either predators or parasites on humanity, and a good vampire novel should give me some cool insight into that, or insight into what it means to be a predator or parasite (if told from the vampire's point of view). That's what I'm looking for, anyway. I know the whole smexy vamp scene works for some, but there's nothing inherently cool about fangs or blood that draws me. Unless the story is going back to vampires older than Stoker's popular Dracula icon. What prompted this post today is that I was reading a kids' folklore book about vampires for SLJ and I remembered a YA vampire novel I'd really loved--because it was based on older-than-Vlad-III Eastern European folklore. But I couldn't, for the life of me, remember the title, and since I read it before I started my book log spreadsheet, I didn't have a record to check. After some searching, I found this excellent review by Christina Chavez over at CSUF YA Book Reviews of Marcus Sedgwick's My Swordhand Is Singing. This, my friends, is the book whose title I keep forgetting, and it is an excellent and scary modern novel based on some of the spookiest vampires I've read. 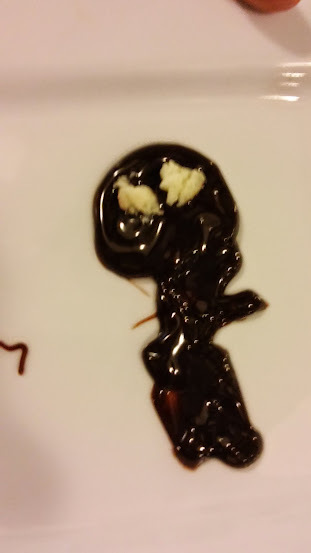 These walking corpses are out to kill the family members they left behind. Tricks like crossing water to prevent being chased, or throwing millet seeds because vampires can't help but stop and pick them up, feel fresh, not because they're new ideas, but because they're not as frequently used as so many other elements in vampire lore. The story is ultimately about the relationship between teen hero Peter and his father, rather than about the relationship between Peter and vampires, and I think that's part of the strength behind this book in a genre that so often identifies with the monsters instead of fighting them. 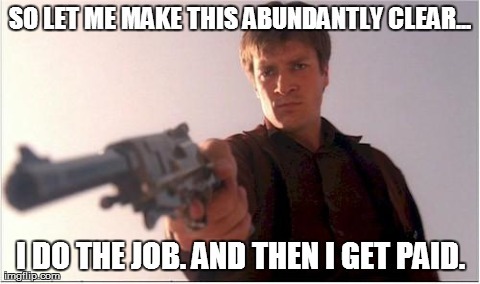 I love exploring those themes (and I'm sure there are others), but sometimes it's nice to sit back and watch humans be the heroes, and legitimately scary monsters be the villains. Sedgwick's My Swordhand Is Singing is satisfying for that reason, for its really excellent use of folkloric elements, and for creating a sense of historical period that feels concrete. I highly recommend it--and I hope I won't forget the title again! Today was the second kind of day.